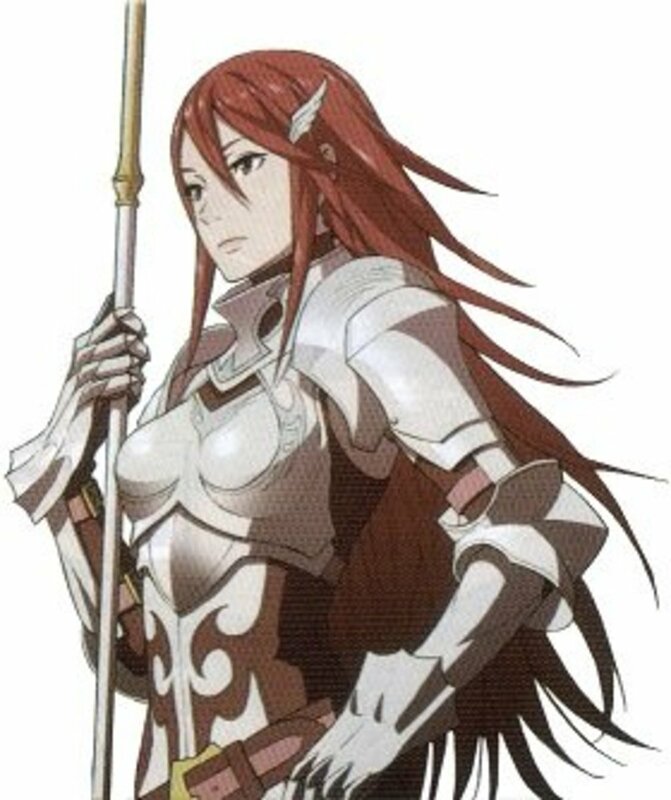 This hub is going to talk about Sumia, the first of two Pegasus Knights you get in Fire Emblem: Awakening. Pegasus Knights in the Fire Emblem series have always been a female-only class (Pegasi don't like human males so much, it would seem). It's also been tradition in a few of the Fire Emblem games that the Lord of said game (if male, of course) marries a Pegasus Knight. In fact the one canon pairing implied in Fire Emblem: Awakening (blatantly, mind you) is Chrom x Sumia. During the course of this hub, I will give an overview of Sumia, her base stats, her base growths, skill list and other aspects. As mentioned in the Introduction, she is a Pegasus Knight. Two of her main character defining traits are her clumsiness and her insecurity, but mainly the former. Amusingly, it is quickly revealed that one of the main reasons she is so clumsy around Chrom is because she is in love with him. In game terms, Sumia's mount allows you to ignore terrain penalties and pass through some normally impassible terrain (mostly water and mountains; walls are still impassible, I don't know why either). Where can I get Sumia? At the start of the third chapter, where she proceeds to save Chrom and you get a little cutscene that also implies that Pegasus Knights have to be wary of archers. Why should I use Sumia? Short answer: Because Pegasus Knight. Longer answer: Because Pegasus Knights tend to have a lot of Resistance, which is something most of the rest of your army needs, direly. This means that you can send off a Pegasus Knight in the middle of a group of mages and wreak havoc, with little regard to the Mages' damage output. Just be careful if some of those mages are wielding wind tomes, as Wind deals effective damage to fliers. Should I use a Second Seal on Sumia? And throw away one of the more useful units of your army? Perish the thought! I promoted Sumia to a Falcon Knight and relegated her to backup healer when archers started becoming more common than forests, but Pegasus Knights and their promotions have a very important niche in any army. Who else are you going to send to meet their mages in bloody battle? (Well, you could send your own mages, but the problem with casters in general is that they're slow). 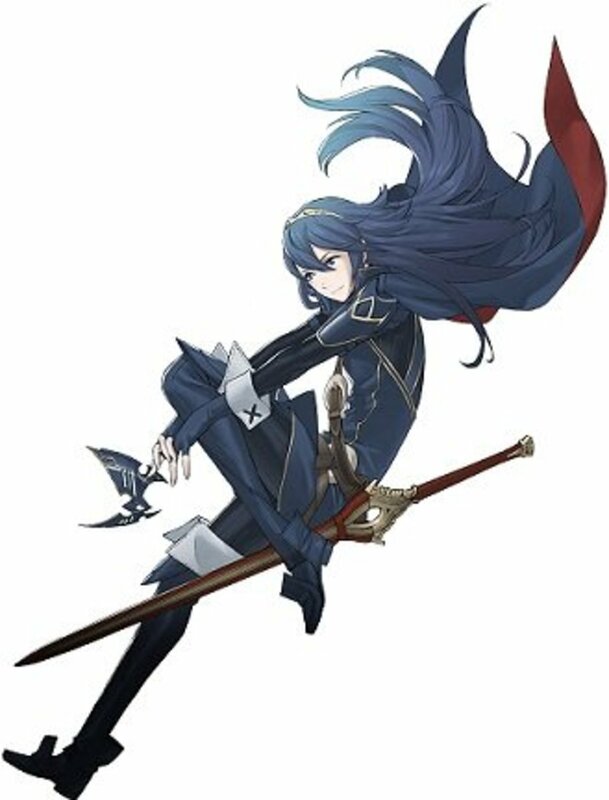 Falcon Knight or Dark Flier Sumia? The real question here is: Do you want to be fair or break the game on your knee? Be fair: Then pick Falcon Knight and have Sumia be a backup healer in a pinch. Break the game on your knee: Pick Dark Flier, get to Level 15, get Galeforce. Rinse, lather, repeat. The beauty with Pegasus Knights is that both of their promotions are useful, for different reasons. You can only go right, or really right, as it were. You're probably looking at the above table and wondering how Pegasus Knights counter Mages so hard, when Sumia's Resistance growth is 40% (and the other Pegasus Knight you get later on has 35% Resistance growth). Well, magic doesn't scale as aggressively as weapons for a large part of the game. In practical terms, one Resistance is usually worth more than one Defense in terms of overall damage reduction, since stronger weapons come into play faster than stronger tomes. So, 40% Resistance is worth more than 40% Defense. 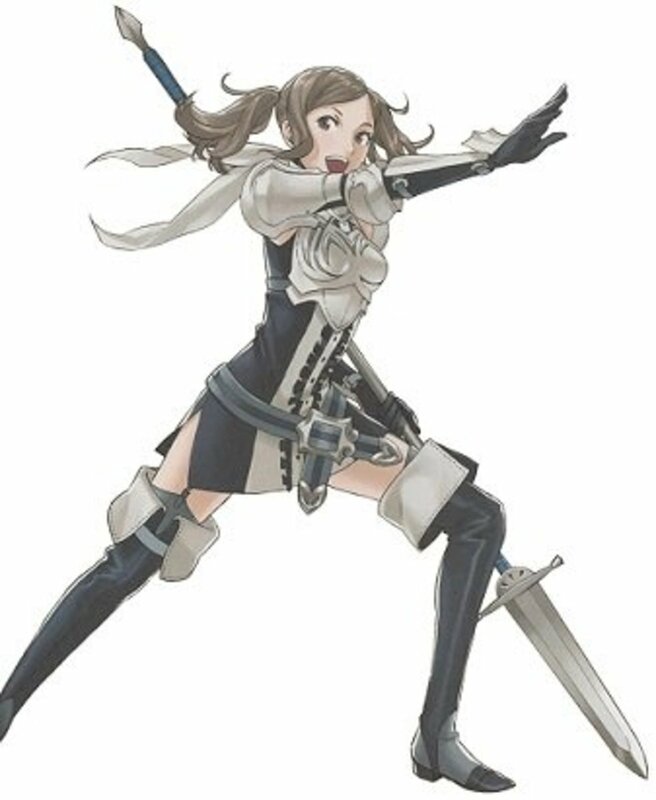 Besides that, she has stereotypical Pegasus Knight growths (beautiful Skill, Speed, Luck, and Resistance, roughly average Strength and low Defense). This means that bows (which already deal effective damage to fliers to begin with) are even more dangerous against Pegasus Knights. Pegasus Knights get both a stat booster and a really useful situational skill. Two Speed is nothing to laugh at, especially when Pegasus Knights get so much Speed to begin with. Relief has a special spot in my heart, not because it is incredibly useful, but because it is one of the few non-staff ways to heal a unit. Specifically, if your Pegasus Knight is more than 3 tiles away from any other unit, she recovers 20% her maximum HP at the start of the player's turn. This is really useful for staying alive if you're being pursued and need to distance yourself from everyone else, including your healers. Promotion to Falcon Knight gives you Rally Speed, which boosts the Speed of all of your other units within 3 tiles by 4 for a single turn. Rally skills are extremely useful in missions where your army is forced to stay together. Rally Speed in specific can be a lifesaver if the bonus Speed allows an allied unit to double. Lancefaire is just one of the "-faire" abilities, which grant +5 damage to the equipped weapon of choice (Lances in this case). On the other hand, if you go for Dark Flier you get Rally Movement which, sounds beautiful in theory, but falls flat in practice. See, while one Movement is useful, it's self-defeating. You're rooting your Dark Flier to a certain spot for a turn to grant a bonus point of movement to units surrounding her. So, she doesn't get to move, and everyone else gets to move an extra space. It has its uses to be sure, but it's rather situational even for a Rally Skill. However, Galeforce. Galeforce is just broken. 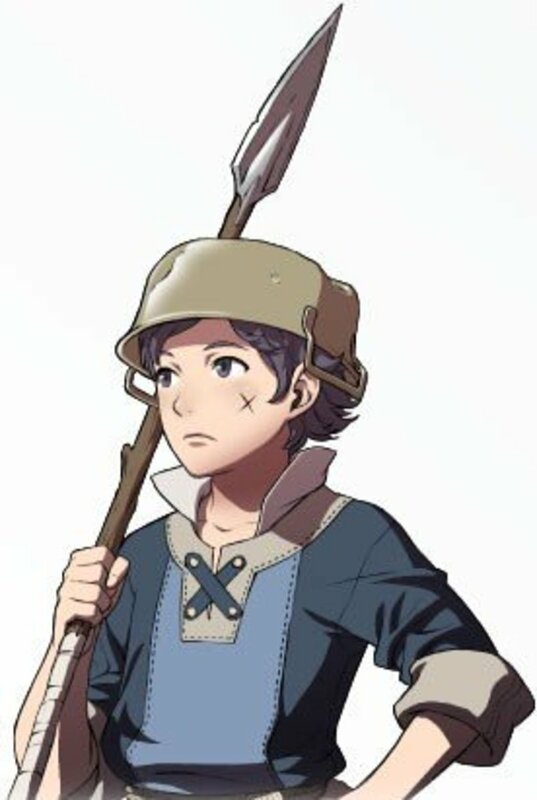 They removed some nasty skills from the Fire Emblem list coming into Awakening, but they added one that is probably worse. The description says it all: Kill an enemy and get a free turn (once per turn). So, you get to take out two units with every unit in your army that has Galeforce! Overpowered, to say the least. Be extremely mindful of where enemy archers and wind tome users are when you are using Sumia in your army. One well-placed arrow against Sumia can bring her down from full HP to 0. She's slightly better against wind Mages, but don't push your luck. Pegasus Knights benefit from having one of the highest movement stats in Fire Emblem: Awakening, compounded by the fact that, as fliers, they are unimpeded by rough terrain that affects walkers such as forests and desert. Abuse this mobility to punish enemy formations for leaving vulnerable units where your Pegasus Knight can get at them without being counterattacked in return. Another neat trick is keeping Sumia protected behind one of your sturdier units. Just have her use a Javelin so she can deal damage from two squares and you're golden. As mentioned in the Introduction, Chrom x Sumia is Awakening's one canon pairing, but you're not in the obligation to pair the two of them up in your playthrough. However, considering that the end result is two daughters with the Great Lord skill Aether, I'm not sure there's many better choices for Chrom (who only has four total choices to begin with; 5 if your My Unit is female). Below you will find Sumia's list of possible supports (Sumia seems to have very few possible supports, just felt like noting that). if you have just started playing, the list will be minor spoilers, so feel free to skip down to the conclusion in that case. Do you use Sumia on your team? 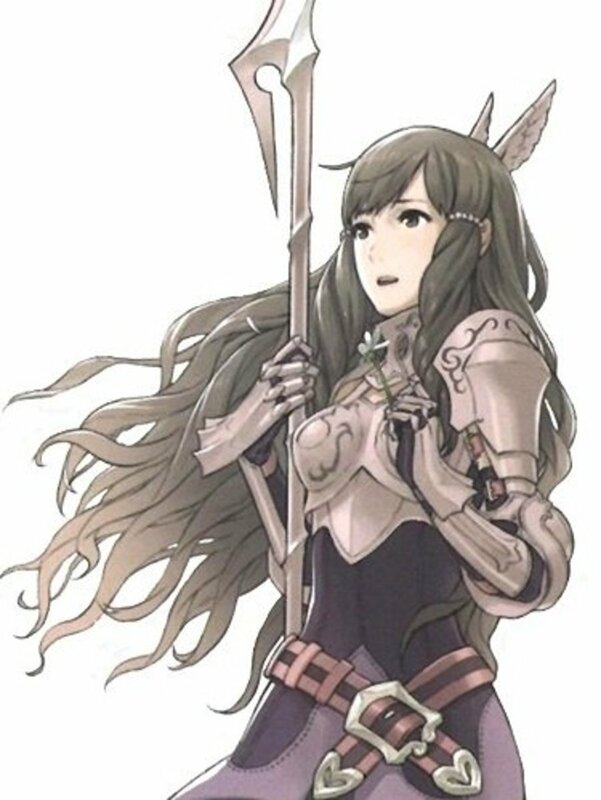 In conclusion, Sumia is one of the two Pegasus Knights (well three, but the third comes far later and is optional) you will recruit during the storyline of Fire Emblem: Awakening. Pegasus Knights have high mobility and the Resistance stats to shrug off enemy magic with relative impunity. 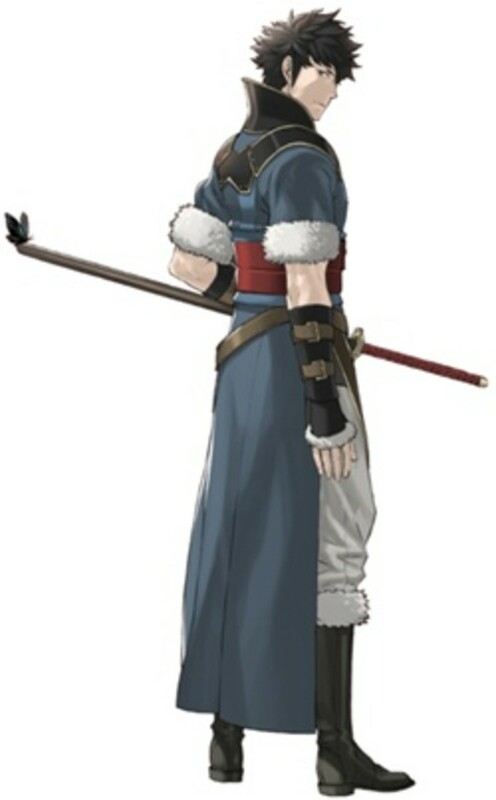 They take effective damage from both arrows and Wind tomes, so care should be taken around the both of those weapons. Use Sumia wisely, and she will do a lot for your army. Feel free to talk about Sumia and things related to her in the comments section. Also, don't hesitate to ask questions if something in this hub is unclear! To help raise her Defense I Reclaassed her to Knight then class Change her to General. Believe it or not, sumia is one of my favorite characters AND unit, so i reclassed her to every class i thought were the most useful for her. Dark filer for galeforce, genreal for paveis, great knight for luna, war cleric so i can replace relief with renewal ( HELLO FREE HP ) and then falcon knight for lancefaire and kept her as a falcon knight. Trust me, you don't want to battle this terrifying healer if you're asking for death. She always surpasses Cordelia for me ( even grinding cordelia myself, i never understood how she was a better unit then sumia. ) and she is EASILY my most fearful units, despite being very fragile when you first recruit her. She DESRVES a spot in your army. 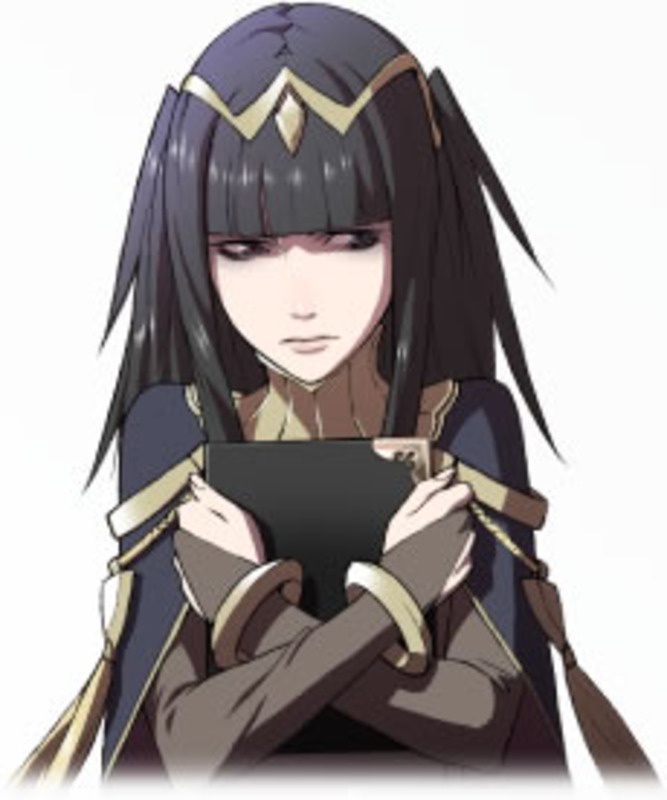 And don't worry, i married her to chrom. You forgot an important piece of advice: Sumia is the only First Generation unit (beasides Female Avatar) to be able to learn both Galeforce and Luna - something she can pass to her daughter as well (that's why she can get any shmuck as her husband if you're marrying Chrom to someone else). This is important, because Luna makes activating Galeforce much easier, specially on Lunatic, where the opponents tend to have higher Def and Res. 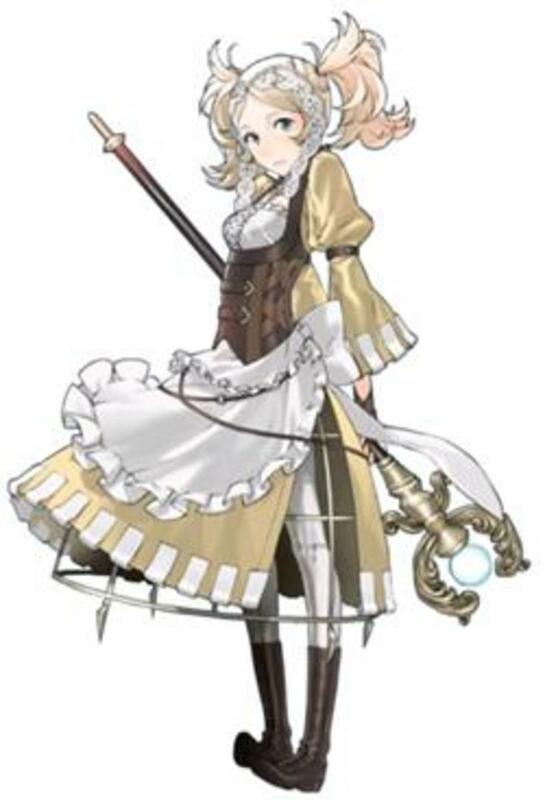 Compare her to the other First Gen PK - Lissa and Maribelle lack offensive input, and Cordelia lacks synergistic reclass options (her Mercenary/Dark Mage suit suggests a defensive Nosferatank unit, not an offensive Galeforce one). Sumia is one of the few First Gen units I keep around after the Second Gen start to roll in. I did ChromXSumia and Cynthia turned out godly. She capped faster and higher than Sumia and with Galeforce and Aether, she's insanely powerful. Also, I took Sumia through as a Dark Flier first, then sent her through as a Falco Knight, and did the opposite with Cynthia. Not sure why there is such a focus on chrom x sumia being so great because you get two galeforece aether units. 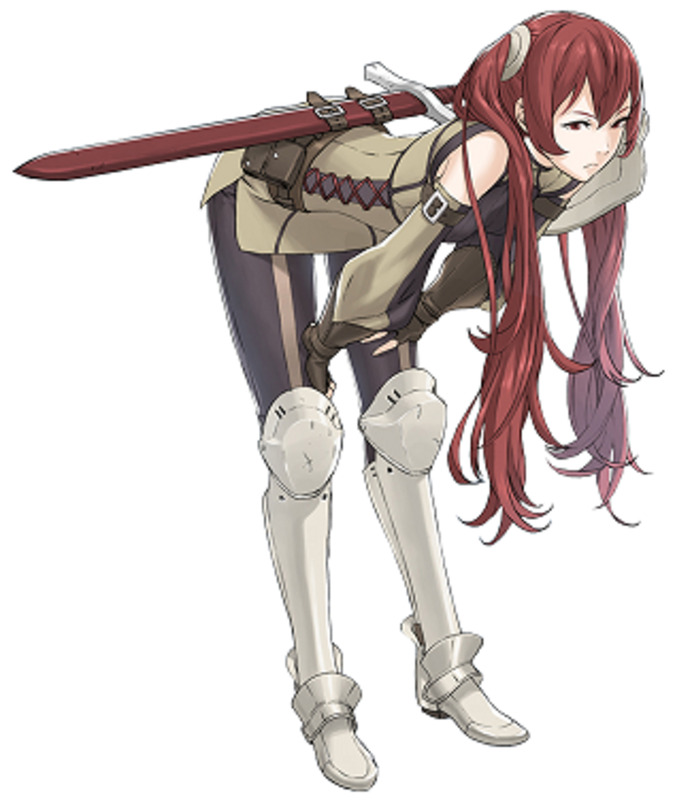 Inigo and severa are just as good if not better at doing that than cynthia.